Just wanted to post this link http://noebulletmolds.com/smf/index.php/topic,2340.0.html for those who may be interested and not know about it. 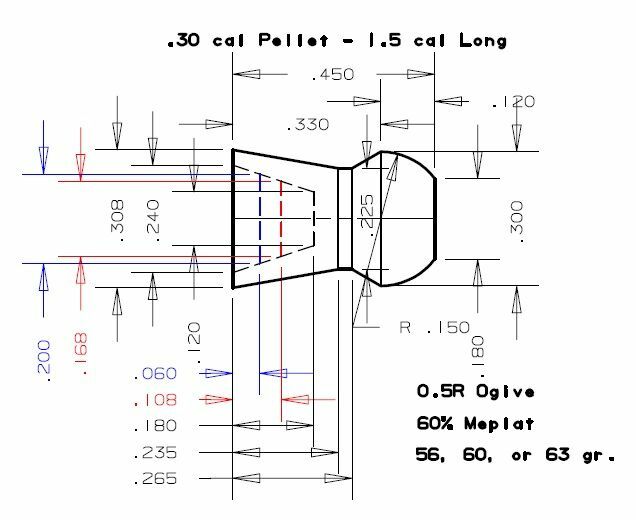 Bob Sterne has drawn up a design that is a scaled up version of a .25 JSB Heavy 34 grain to .30 cal that has an adjustable pin so the weight can be changed. Weights posted are 56, 60 and 63 grain and would be a nose pour mold. If interested, please post at the link at the NOE forum. Bob, please let know if I have misrepresented any of the info here.